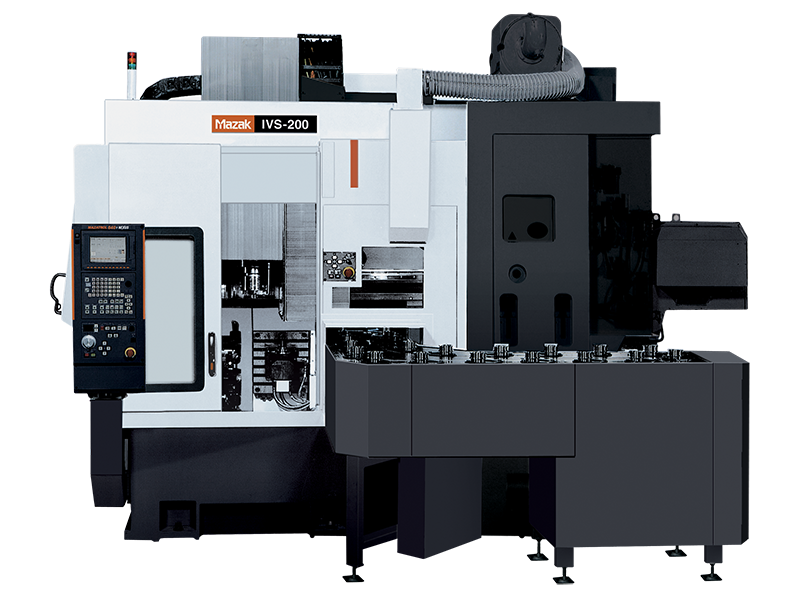 The IVS-200 has an 8 inch chuck and high speed X-axis rapid traverse of 110 m/min for considerable reduction of non-cutting time. IVS series is designed for mass production applications. With high speed X-axis rapid traverse and a moving headstock that directly picks up work pieces from a work conveyor so that a gantry robot is not necessary. Automatic production systems can be implemented for mass production of mid to small size lots by not only stand-alone machines but also by connected machines. CAPACITY Chuck size 8 "